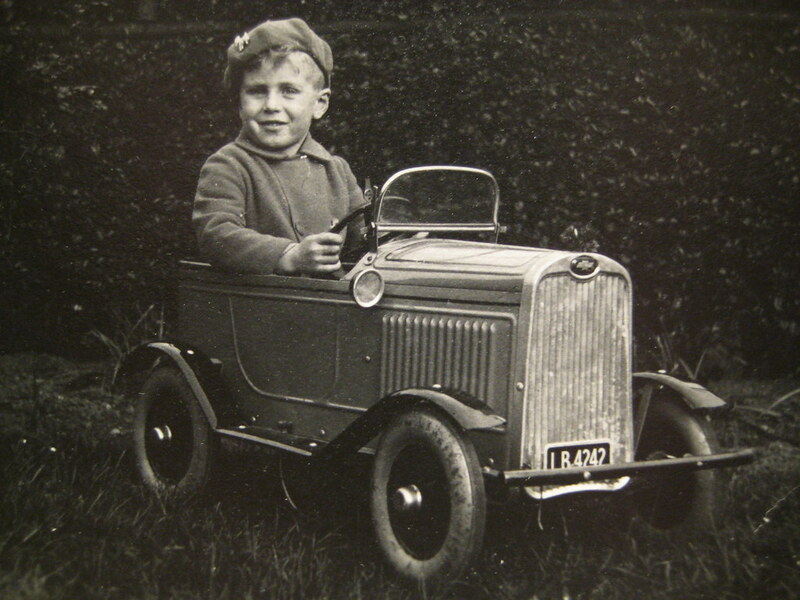 Hover over images to increase size, click to open full size in new window. 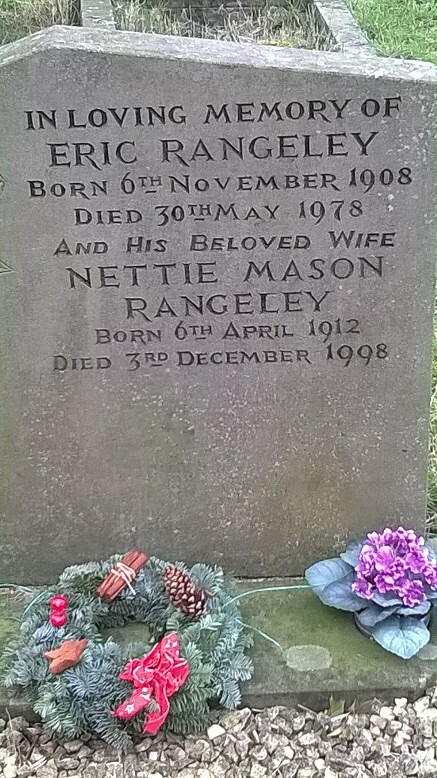 This gravestone is in Hayfield cemetery, Derbyshire. 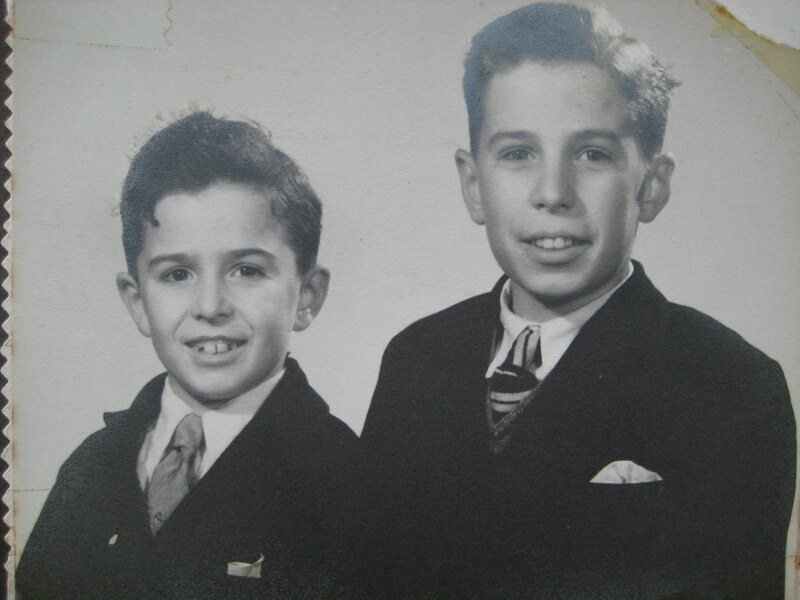 The two sons of Walter and Hilda. 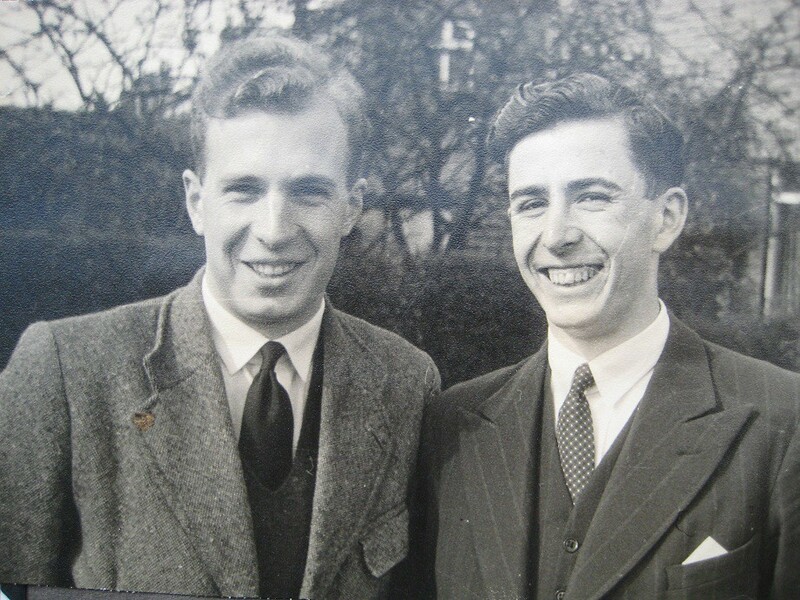 Both brothers have a keen interest in music and sport. 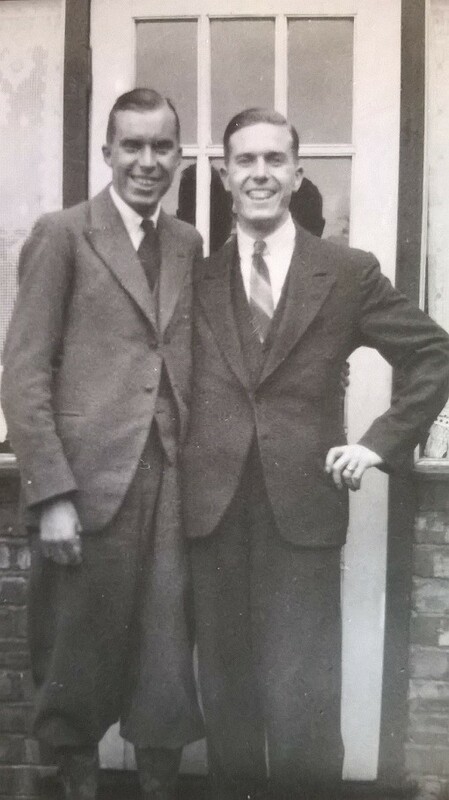 Both brothers worked in a bank. 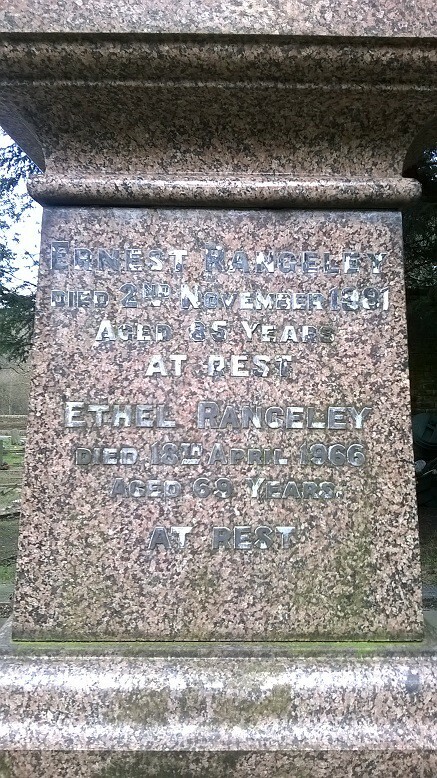 They were keen walkers and enjoyed classical music. 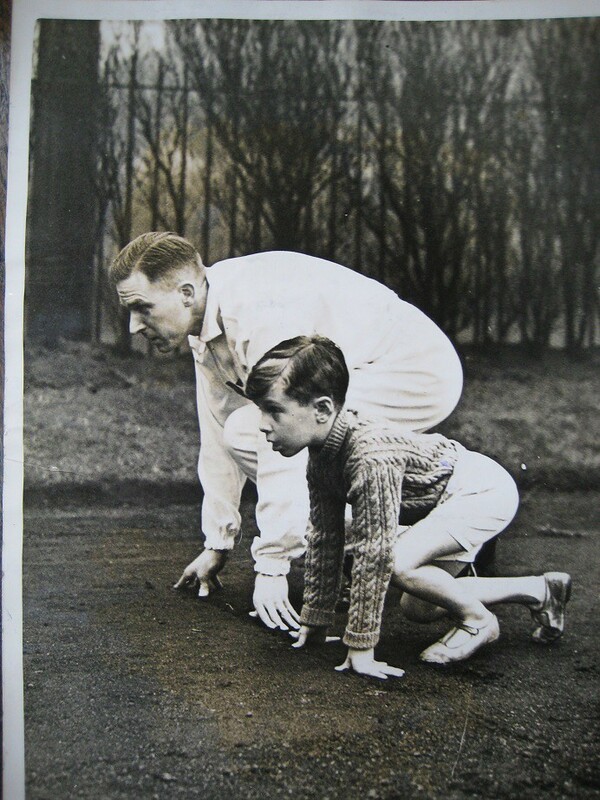 Walter (right) was an olympic sprinter. 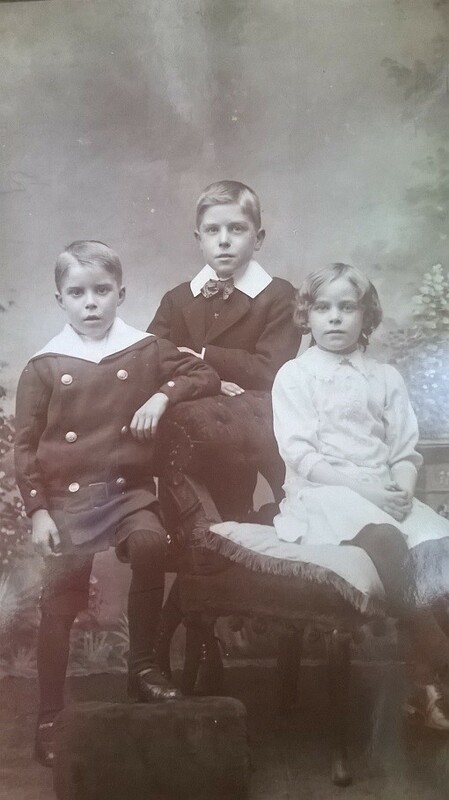 The three children of James and Maggie. 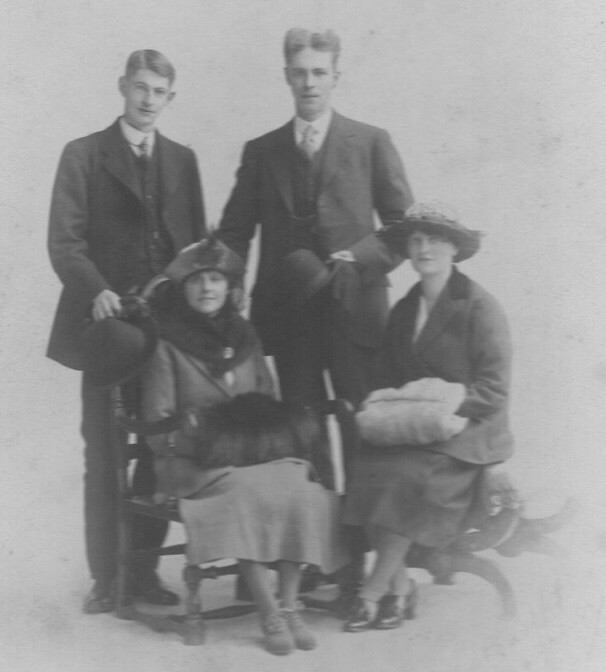 Frank (left), Walter (middle), and Ethel (right). 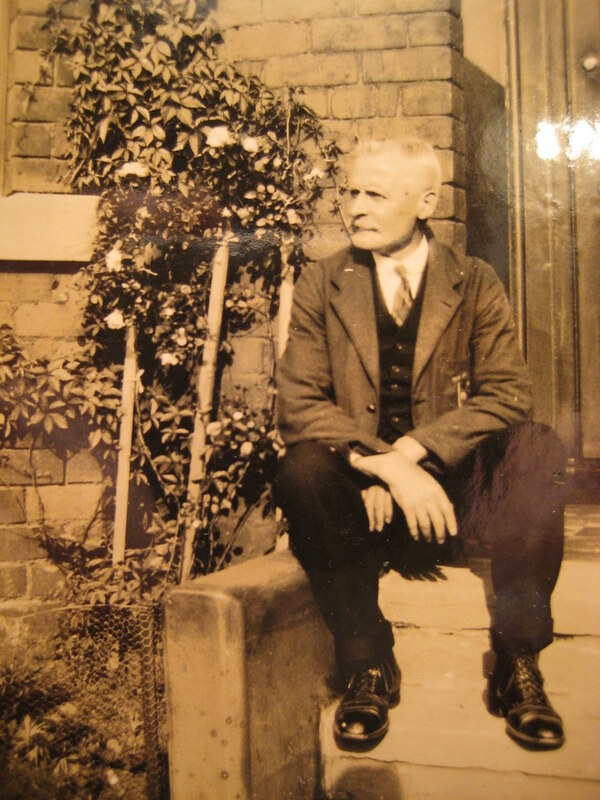 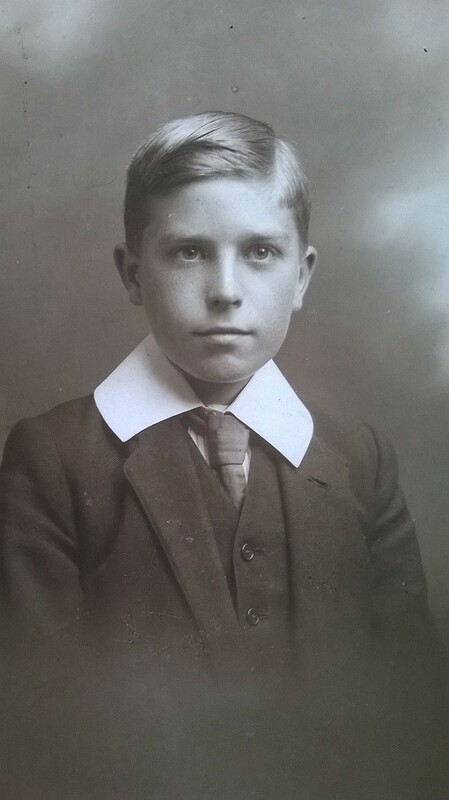 Walter (1903 to 1982) was the eldest child of James and Maggie. 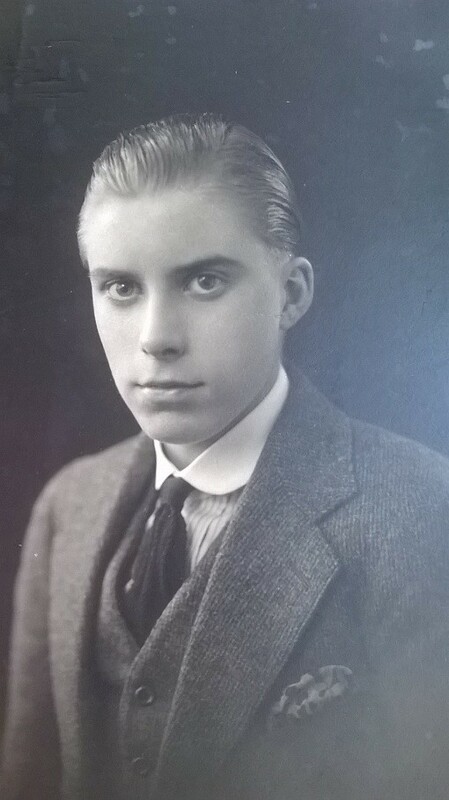 Frank (1907 to 1985) was the youngest child of James and Maggie. 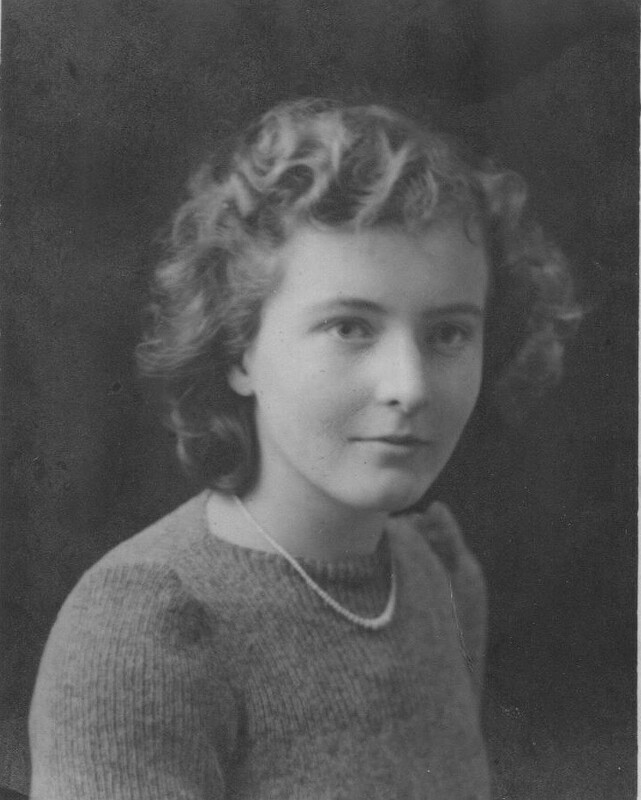 Ethel (b. 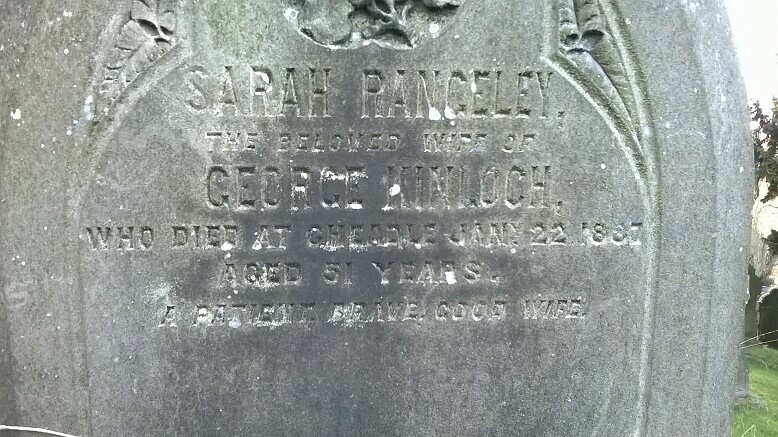 1905) was the second child and only daughter of James and Maggie. 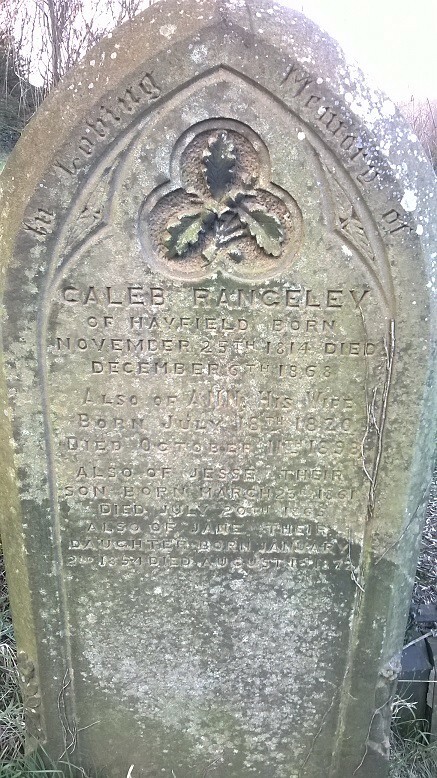 This is the lower section of Joshua and Ellen Rangeley's gravestone, which can be found outside St Matthews church in Hayfield, Derbyshire. 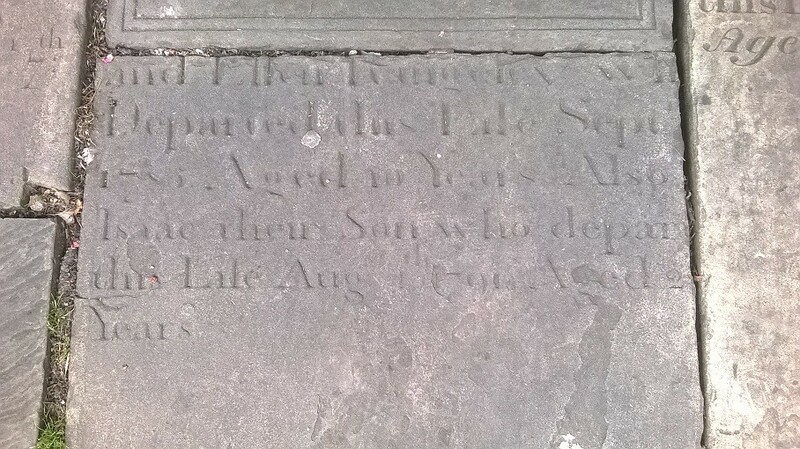 Their son Isaac died in August 1791. 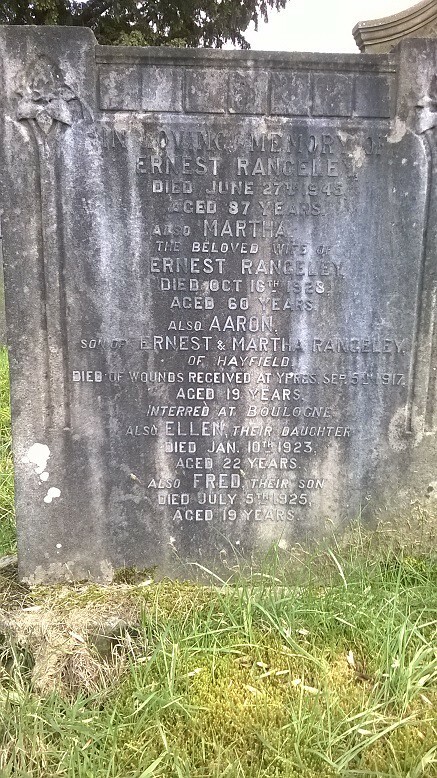 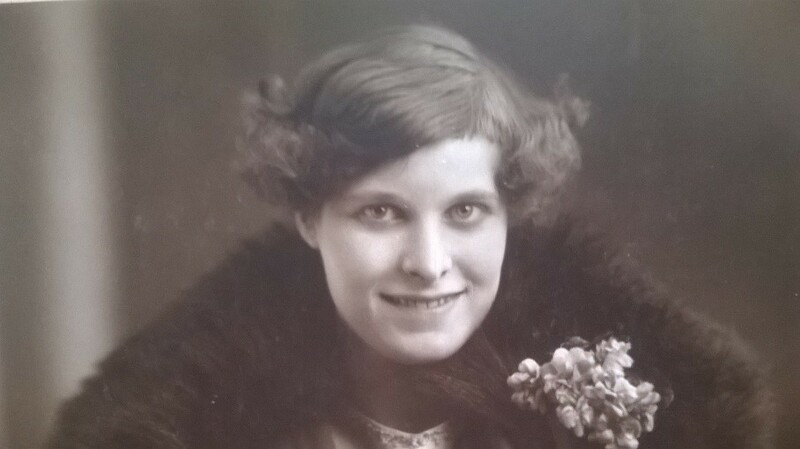 Marion Airey (1929 to 2004) was the younger daughter of Joseph Airey and Emily Rangeley. 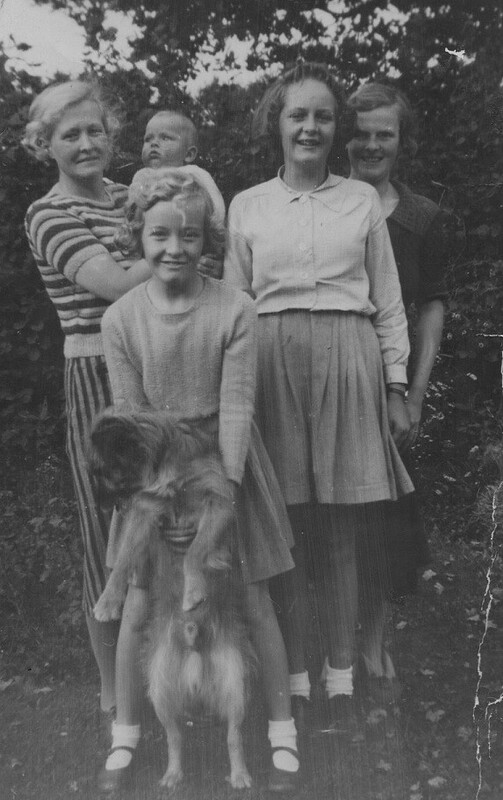 Emily Airey (nee Rangeley) holding a baby, with her daughters Joan Margaret Airey (in the white blouse) and Marion Airey (holding the dog). 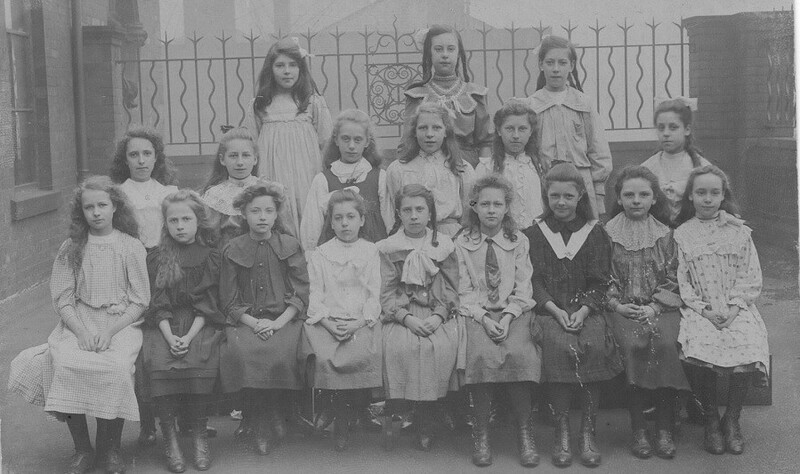 Emily (1894 to 1943) is fourth from the right, wearing a white blouse and tie.